Should edited images in ads be labelled? How will new regulations alter the use of image editing in the future? Of all the things you could say about Kate Middleton, nobody could accuse her of being overweight. Yet Grazia's cover shot following 2011's royal wedding saw the bride digitally slimmed down and her skin darkened to a shade you'd expect of someone hailing from Brazil, not Berkshire. Such wanton digital editing in the media has become commonplace since the advent of digital photography and the proliferation of image editing programmes. However, thanks to image specialists Hany Farid and Eric Kee from Dartmouth College in America, there is now software which can establish exactly how much images have been altered from the originals. This software quantifies the extent of manipulation with a rating from one (very similar) to five (very dissimilar to the original). The software was created using an image bank of 468 images and calibrated against observers' ratings of these images on a one to five scale. By comparing original and retouched images the software calculates what geometric and photometric changes have been made and places images into one of these five bands, depending on the magnitude of any changes. Geometric changes considered include slimming of limbs or waists, elongation of necks, enlarging of eyes, altered posture and adjustments to make faces more symmetrical while photometric changes include smoothing or sharpening plus the removal of wrinkles, cellulite and freckles. Writing in the journal Proceedings of the National Academy of Sciences, computer science professor Farid and Ph.D student Kee highlight how, "Impossibly thin, tall and wrinkle and blemish-free models are routinely splashed onto advertisements and magazine covers." The duo adds: "The ubiquity of these unrealistic and highly idealised images has been linked to eating disorders and body image dissatisfaction". According to cosmetics company Dove, the average person sees around 500 adverts daily, many of which feature underweight or airbrushed models. Dove's 'Campaign for Real Beauty' adds that the existing concept of beauty is not only "unrealistic" but "unattainable". And with 50-70% of girls of normal weight believing they are overweight, this is clearly a significant issue. "Everyone is affected by images that do not portray reality," says a spokesperson at Beat, a national charity supporting those with eating disorders. The "hyper perfectionism" in media images is toxic, hitting those with low self-worth particularly hard, she adds. "Although we may be aware that digital alteration may have taken place, we are losing our sense of what is real," argues Beat's spokesperson. Consequently Beat deems any move to demystify how realistic images are as positive. However, the charity is fundamentally opposed to any manipulation of people in media images. Conversely, the Advertising Standards Authority (ASA) has a more lenient stance on image editing, adopting the premise that the issue is not the amount of photo editing, but whether it is deceptive. An ASA spokesperson states: "We accept that post production techniques exist - we have no view on whether that's right or wrong. What we do have a view on is if it's done in a way that misleads." He adds: "There's nothing to say advertisers can't alter someone's body shape," - unless it's deemed likely to have a negative impact on consumers' body confidence by portraying an unhealthy body image. However, this is an issue whether models are overly thin in person or have been slimmed digitally. The spokesperson claims that adoption of Farid and Kee's software to rate media images would be beneficial as it provides additional information and transparency for consumers. However, regardless of adverts' rating the ASA would still independently judge whether images were misleading or harmful, he states. Despite the recent proliferation of photo editing software, photo manipulation is not a new phenomenon, dating back to an 1860s composite image of Abraham Lincoln's head on another man's body. Photo editing in the 1930s saw figures removed from images at the request of leaders including Stalin and Hitler, while more recent film examples feature the addition or removal or certain elements to change pictures' messages. While image manipulation may have existed for 150 years, it is easier than ever to manipulate images and results are so convincing it can be impossible to gauge media images' accuracy. Consequently image manipulation software could be used much more sparingly by media and advertisers to avoid promoting a completely fabricated sense of reality - which could be stimulated by mass use of Farid and Kee's software. 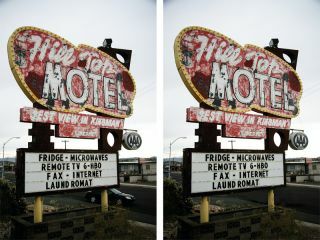 Having software that automatically calculates how manipulated images are can only be positive in encouraging more responsible use of photo manipulation software by the media - whether advertisers and media bodies monitor their own images, an official body monitors them or photo manipulation ratings appear alongside manipulated images.